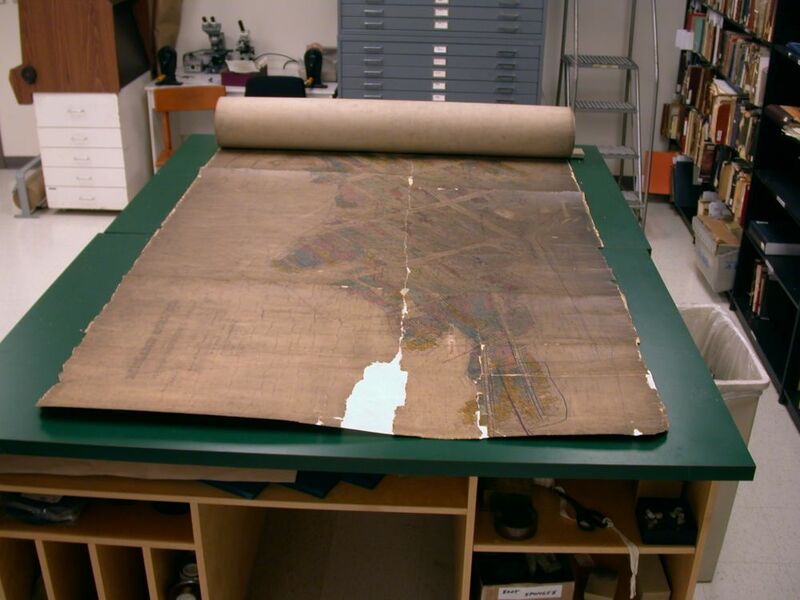 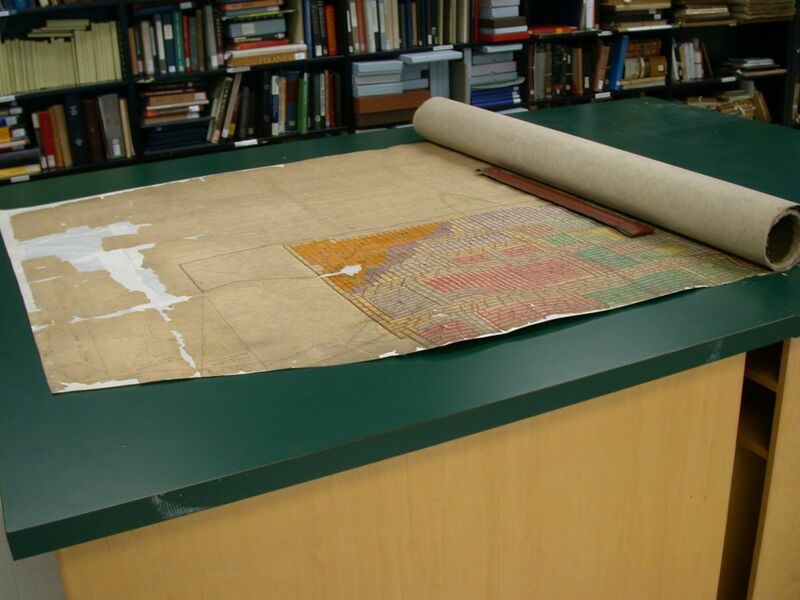 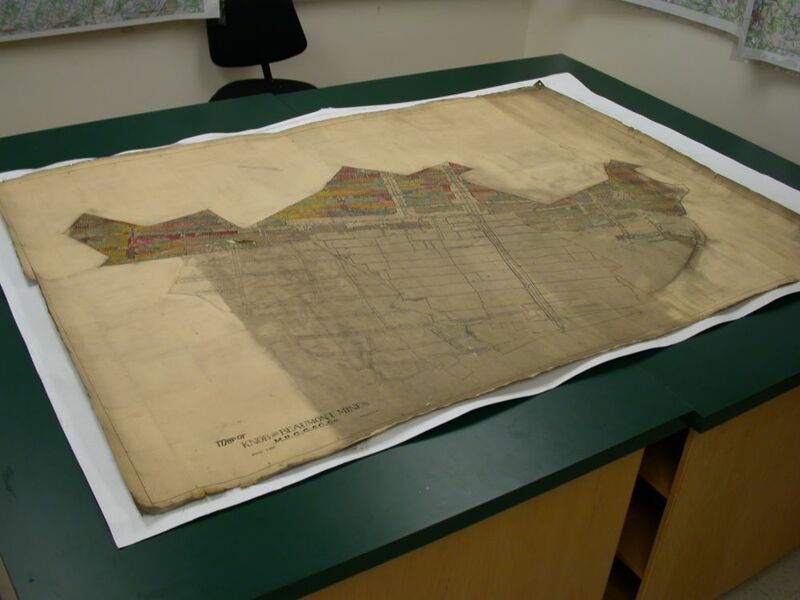 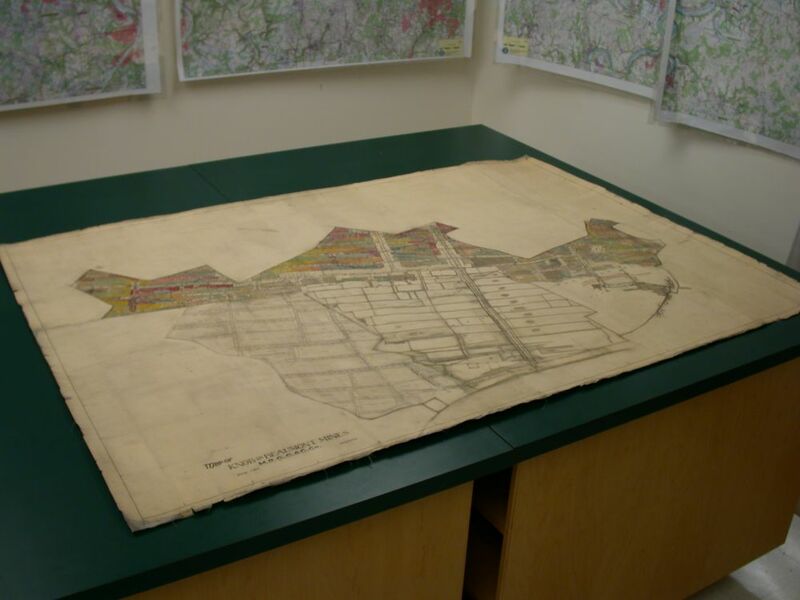 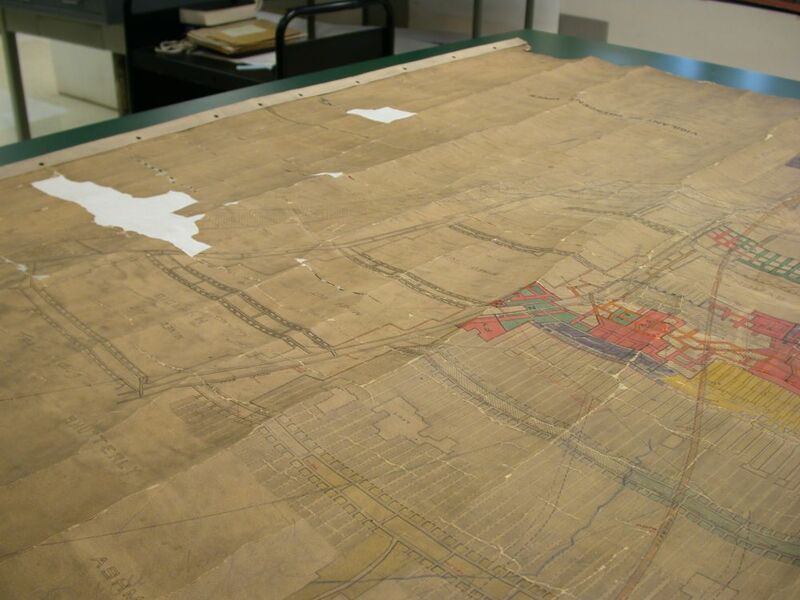 Maps that are torn or have large pieces missing are cumbersome to handle, transport and scan. A partial re-lining with long-fibered tissue and linen. 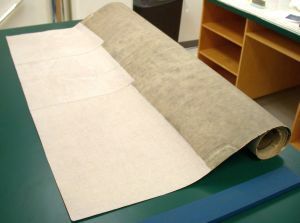 Significant areas of loss are mended with muslin patches and Beva D-8. 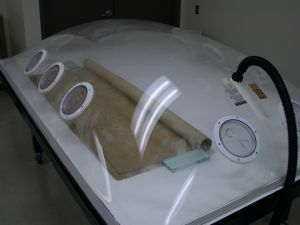 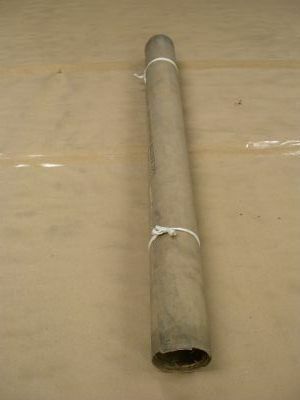 After the map has been stabilized, it has enough flexibility to roll onto a large diameter core in order to transported to the scanning facility. Maps with torn and deteriorated backing are re-lined with long fiber tissue and muslin. The methods used to clean a map vary depending upon the physical condition of the map and how dirty the map is. 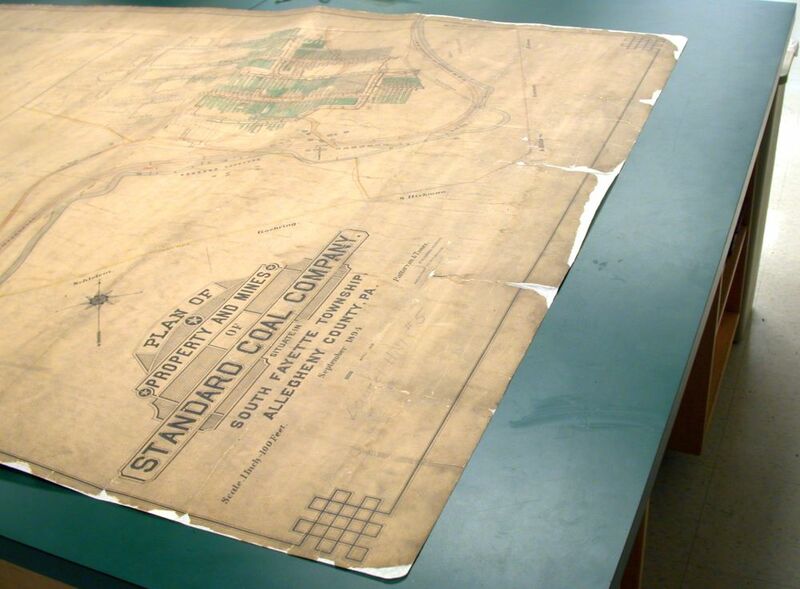 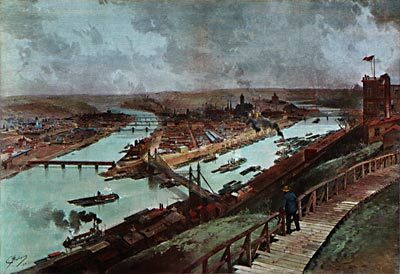 Most maps have a coating of surface dirt, mainly consisting of coal dust. The surface dirt is removed with soot sponges and dust cloths. 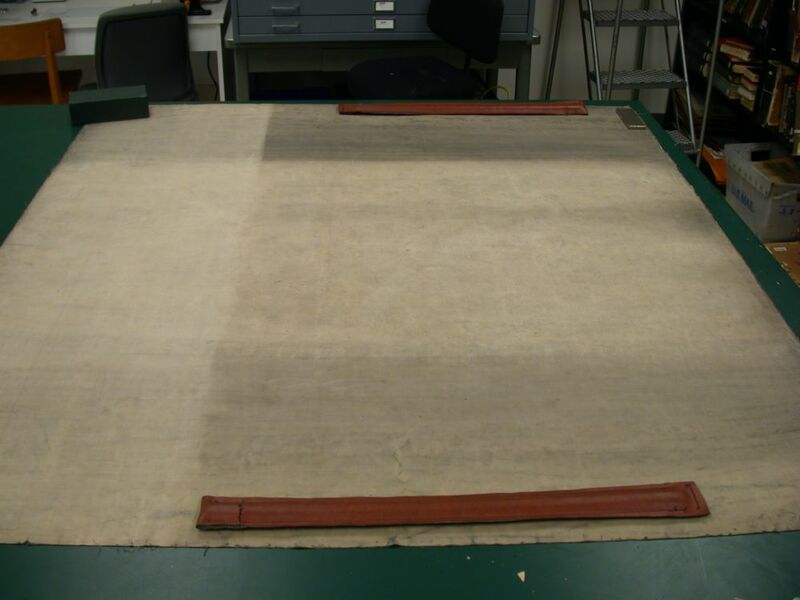 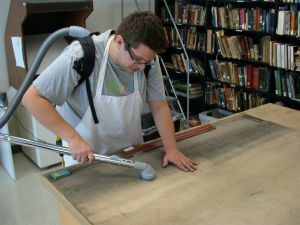 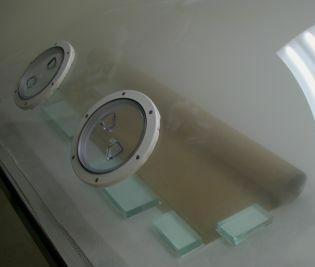 The canvas backing of a map is cleaned using a vacuum with HEPA filter. 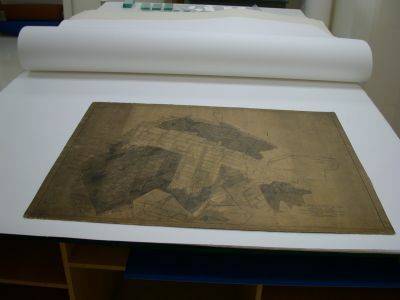 If the map is severely creased or is too fragile to be vacuumed dust cloths are used instead. 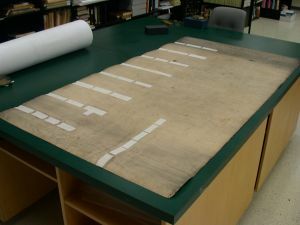 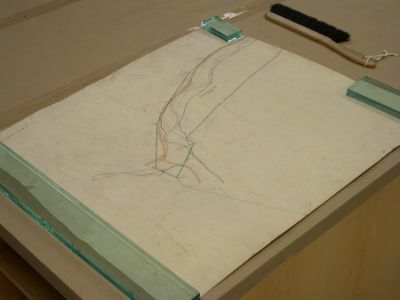 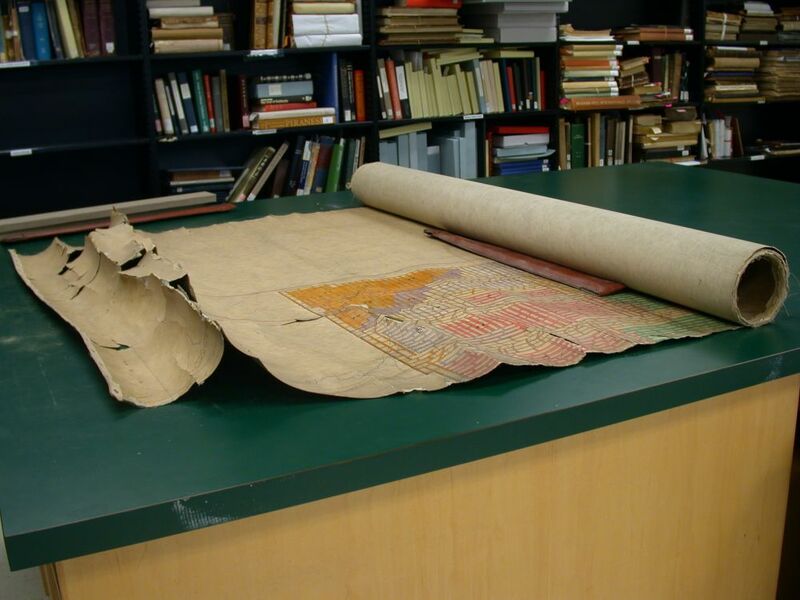 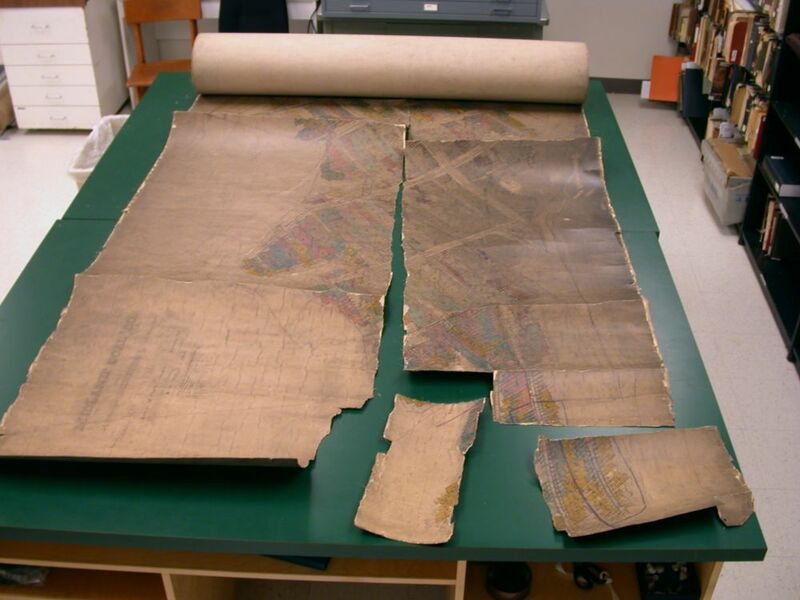 A map that has been stored tightly rolled over the years (picture at left) can crack and break when unrolled. 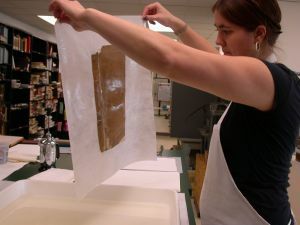 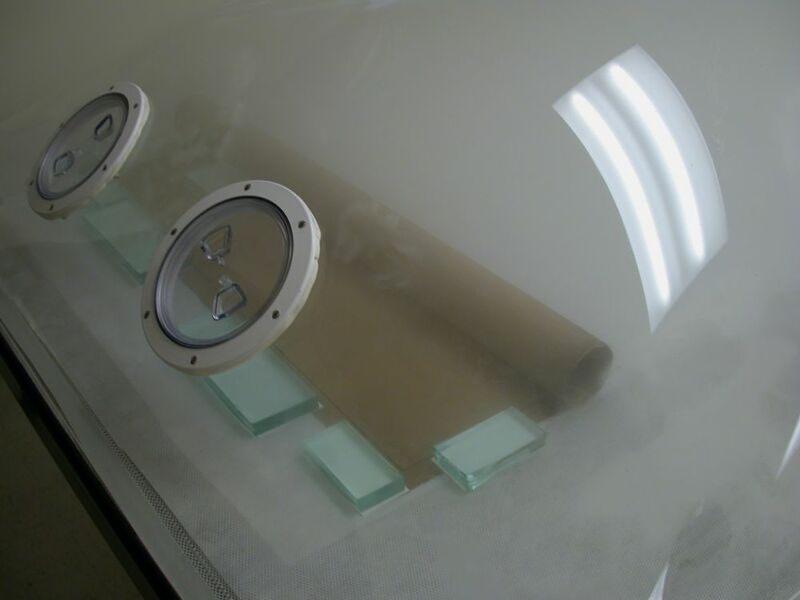 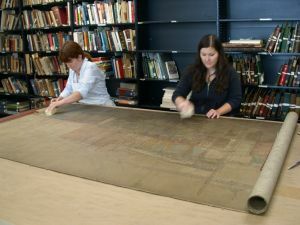 In order to unroll these maps safely without causing additional damage the maps are placed in a humidity chamber. 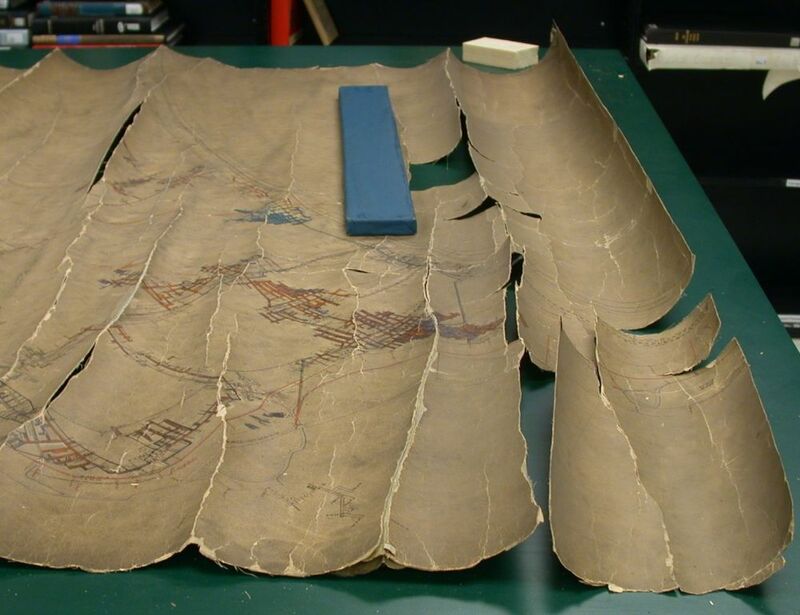 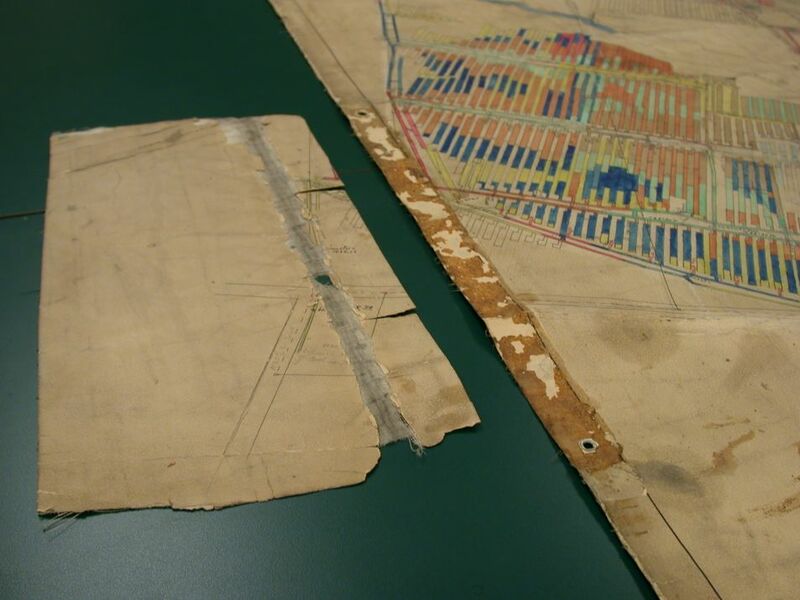 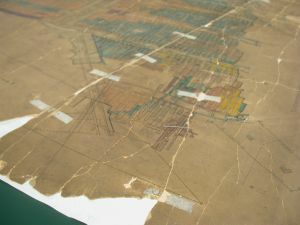 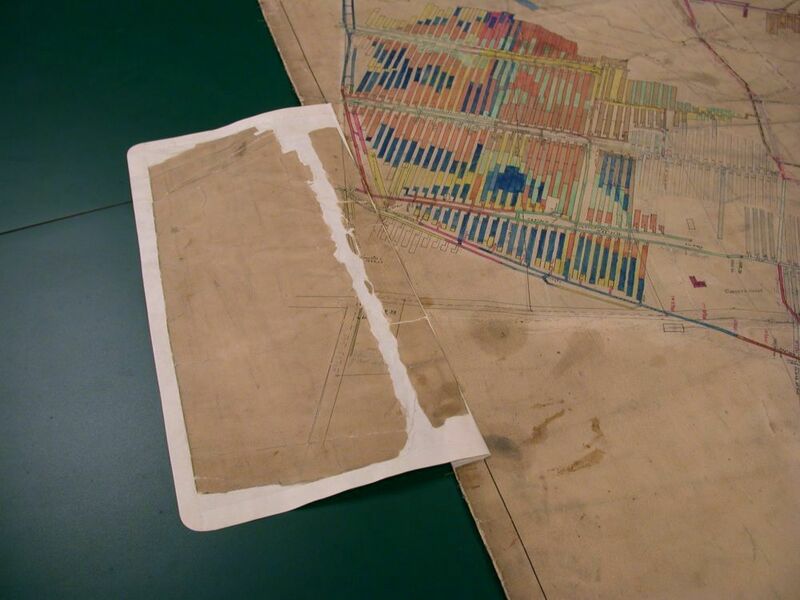 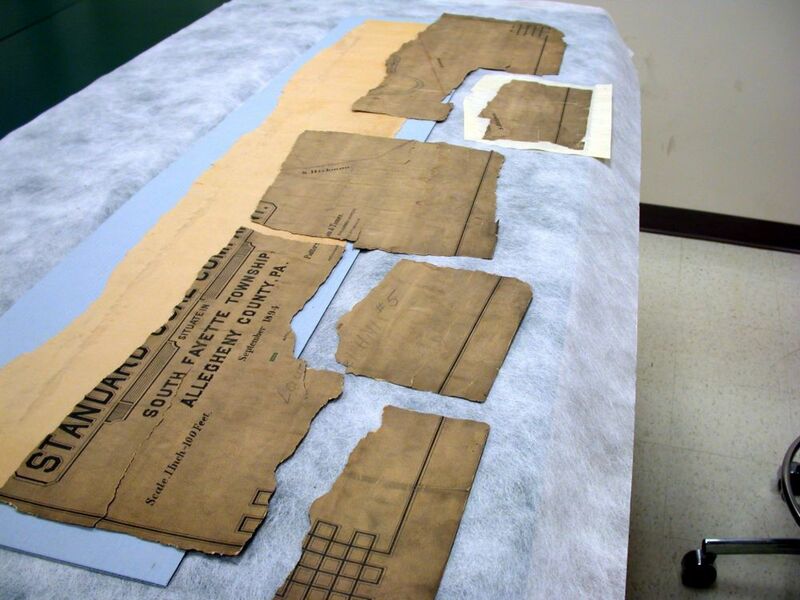 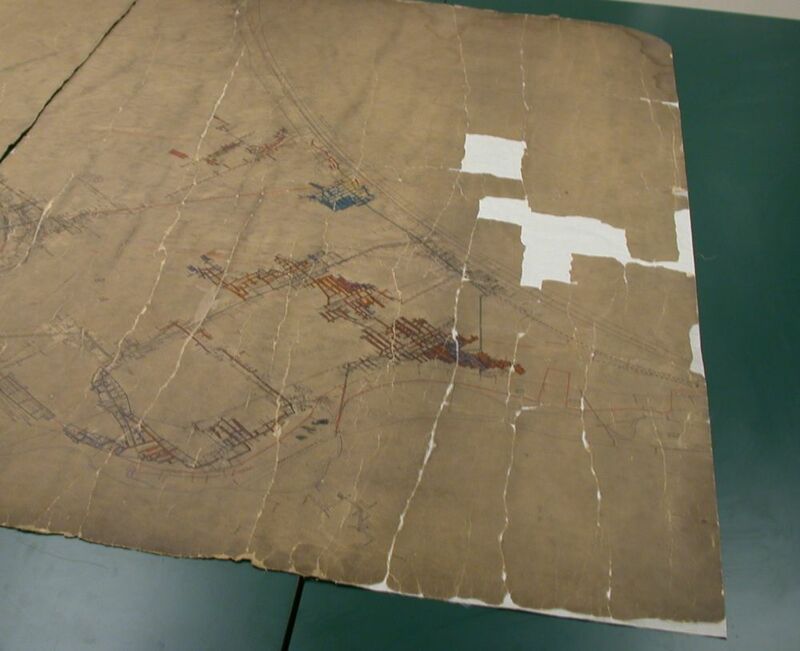 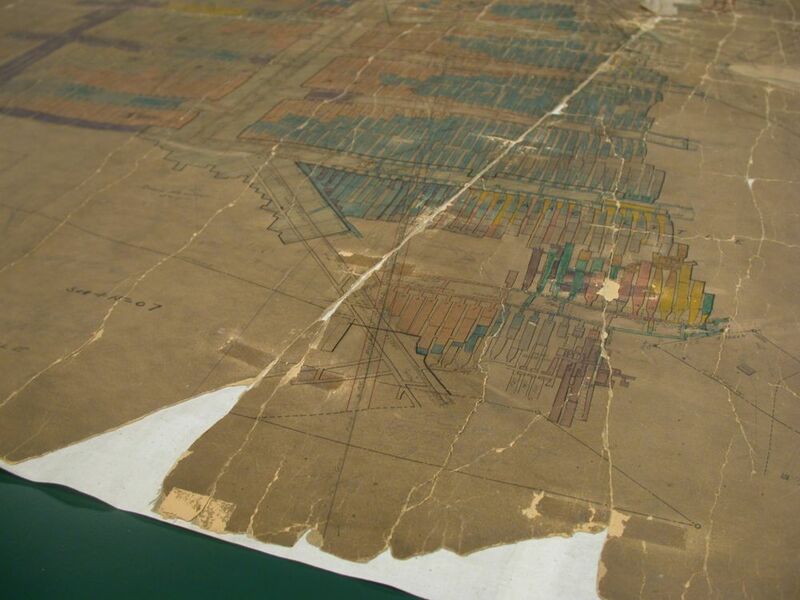 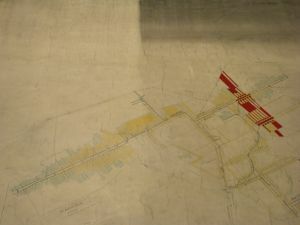 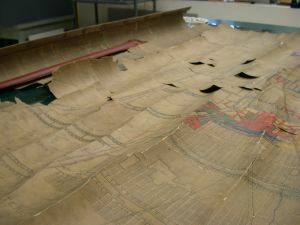 Many maps were previously repaired with various kinds of pressure-sensitive tape. The tape must be removed, and the adhesive reduced in order to adhere a new mend over the tear. Old tapes and glues applied to the back of a map become rigid over time causing the map to crease and crack. 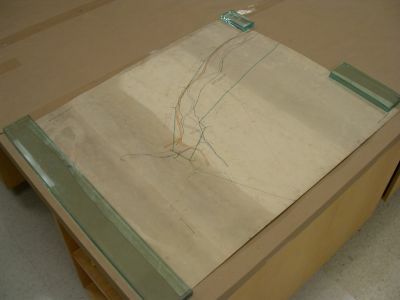 The old tapes and glues are removed and the map is re-lined with long fiber tissue. 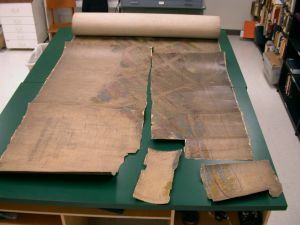 After removing tape from the front of a map any remaining adhesive residue is reduced. 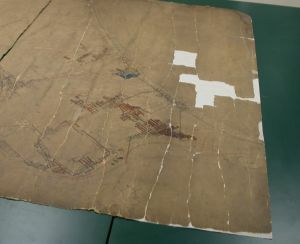 The white residue in the picture is covering up part of the drawing and after removal the drawing is visible.